Delivered Cheyenne 31-Jul-43; Seattle 1-Aug-43; Cheyenne 2-Aug-43; Scott 10-Aug-43; Assigned 423BS/306BG [RD-L] Thurleigh 2-Sep-43; Missing in Action 14-Oct-43 on mission to bomb the ball bearing factories at Schweinfurt, Germany. 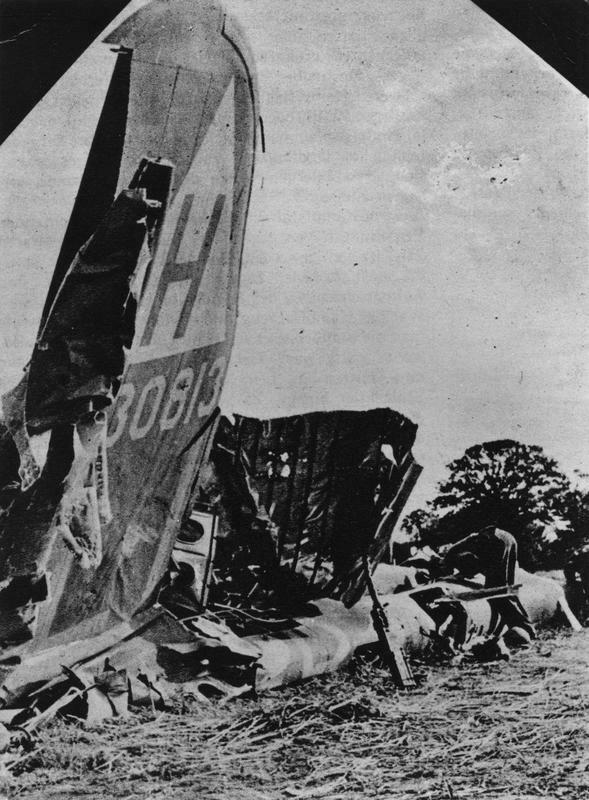 Aircraft was attacked by fighters which caused it to break in half. It crashed near Dorne, Belgium. 5KIA, 5POW MACR 820. My Stepfather was the tailgunner on 42-30813,Queen Jennie. I would really love to find photos of his plane,crew pictures.He is deceased now and sorely missed. His name is Willard McQuarrie(Mac).